Reginald set out on his journey to America in 1857 aged just 18. His fathers constant travelling must have rubbed off on him and the trappings of America were too much to hold him back. 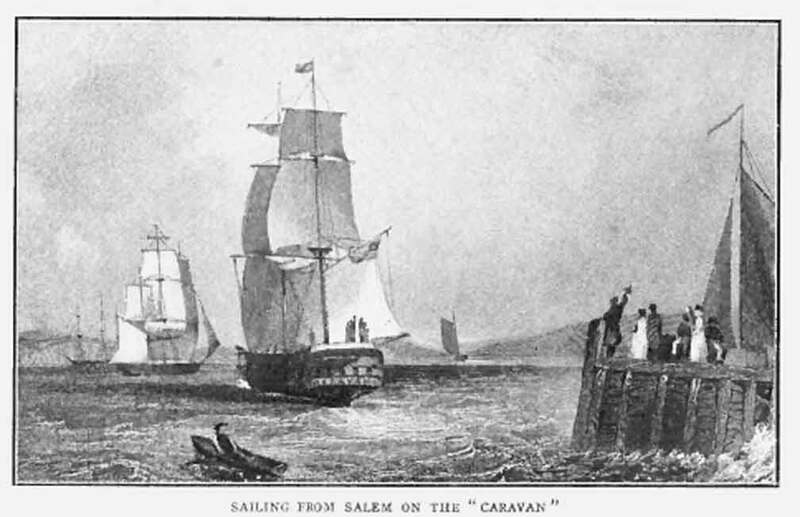 Reginald and his friend William Handyside left the port of Liverpool on a liner called "Caravan" (below) bound for New York. The pair finally made land on 13th July 1857. Once ashore they made their way by train to Chicago and then onto St Louis on the banks of the Mississippi River. Over the next five years they made their way up the river, logging and rafting in the summer months, hunting and trapping in the winter. This was a great experience for the young fellow and would be vital for food in the mountains later in his journey. Stanley has written about being caught up in the Sioux Wars of 1861 and taking part in fighting to drive them back. From my research it was the Dakota War (one involving the Sioux people and the 'white' people heading west). Eventually the fighting died down, so the explorers continued with more hunting and trapping, this time on the Des Moines River. Reginald itching to get further west, decided to sell his furs to settlers. With the money he bought two yoke of cattle (A yoke is a wooden beam used to attach cattle together enabling them to pull a wagon in pairs, see picture right bottom) and the wagon, into which he threw his trappings, sacks of flour and set off on his own towards a small town called Hastings. In 1862 there were rumours that Immigrants were needed to help in a task to head west. The leader of the expedition was a Captain James Fisk. Reginald had spotted the advert posted in the local papers and joined up with the party at St Paul, Minnesota. 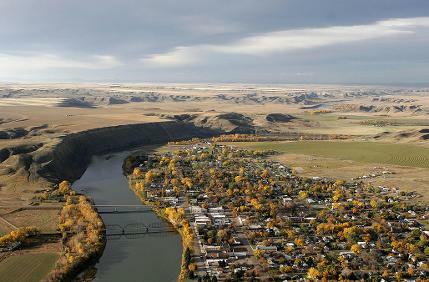 On 16th June 1862 they set out heading for Fort Benton, Montana, a fur trading point on the north side of the Missouri River. The party contained less than the expected one thousand, the dangerous journey through Indian territory must have put a lot off the trek. In the end around fifty made the trip together with various cattle, horses and wagons. They traveled the thousand miles through Sioux country in under three months and arrived safely at Fort Benton on the 5th September 1862. What was to happen over the next few years would change this young mans future forever. The next part of his adventure will see some unsavory characters cause havoc in the gold mining towns of Montana, pushing the town folk to boiling point. 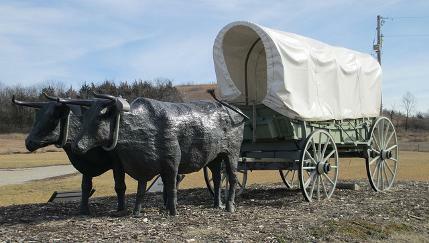 Oregon Trial Oxen and Wagon Statue. To read about the next part of the journey click here.